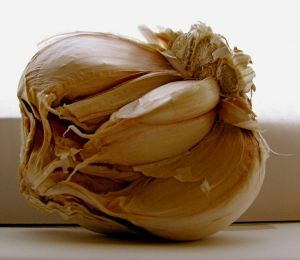 This is another French classic, and it’s worth having hands that smell like garlic for days. It’s best to prepare it in some sort of heavy duty dutch oven like this one, with a closely fitting lid. Otherwise it would make a good crockpot dish. Preheat the oven to 400°F. Brown the chicken, in smll batches for two to three minutes, then transfer to plate. After all the chicken has been browned, saute the whole garlic cloves for two to three minutes. Put the chicken back in the pan, add the herbs, lemon zest and white wine, cover and put in the oven. Roast, covered, for twenty minutes, then uncover and bake for thirty more minutes. Let sit for ten minutes out of the oven and then serve with honeyed carrots and mashed potatoes.